Arrival was in the morning, the sun had not yet risen, and the rawness of late fall was in the air. 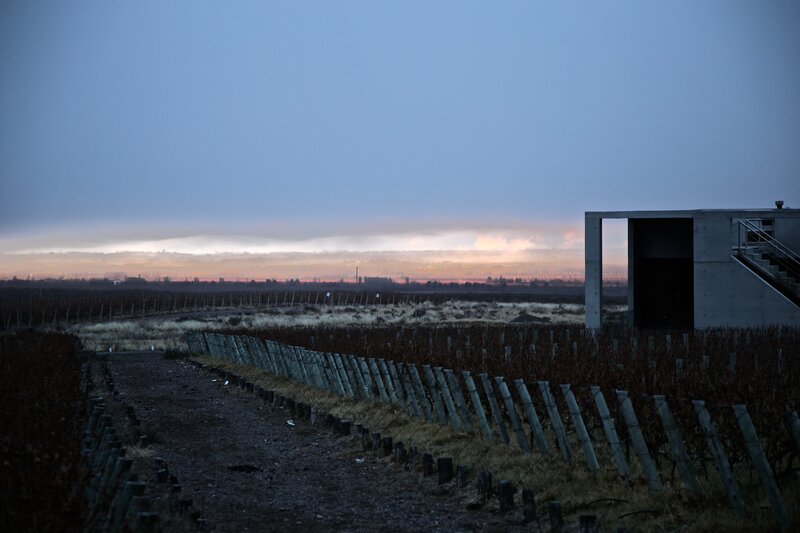 Heavy was the smell of the cold, morning air as I stepped off the plane, into Mendoza, the province of Argentina that has become an oasis for the olive growing industry. 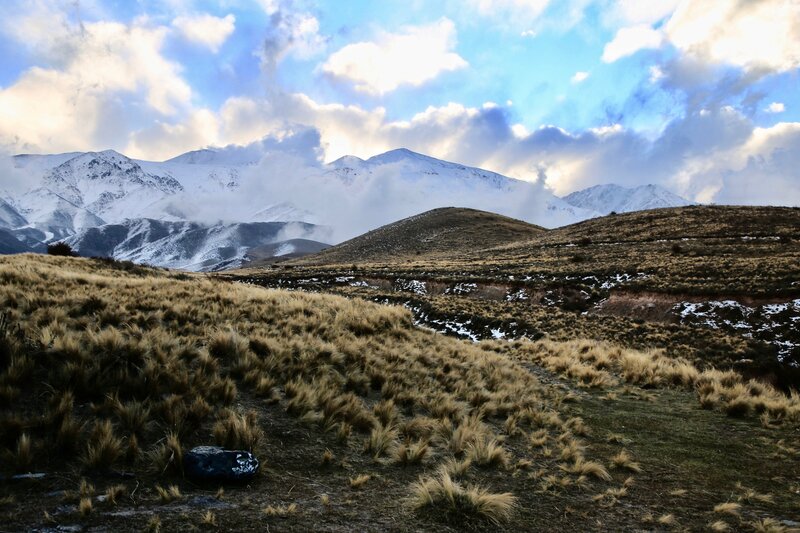 With the Andes Mountains situated to the west, this arid region has unique terroir that is a result of millions of years of mineral and rock deposits, laced throughout the soil. 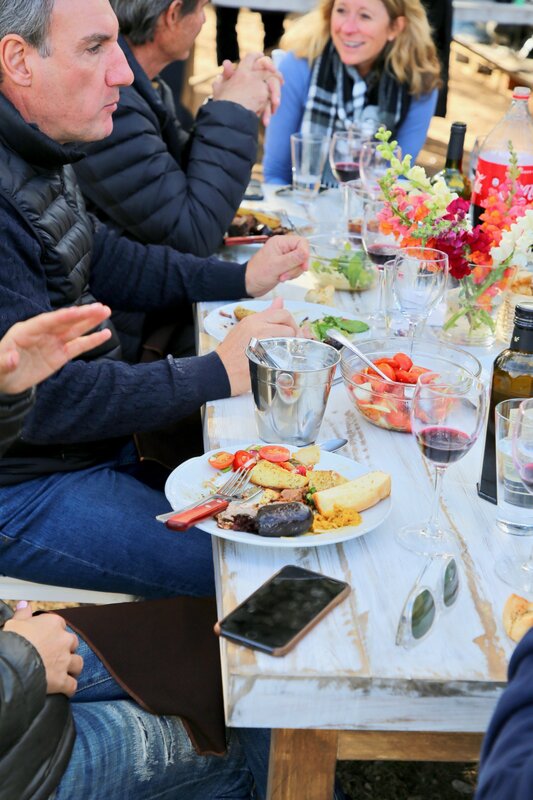 This climate, sunny during the day, with hot summers and mild winters has become not only a world class producer of wine, but also of olive oil. As a home cook, olive oil is a staple ingredient in my kitchen. 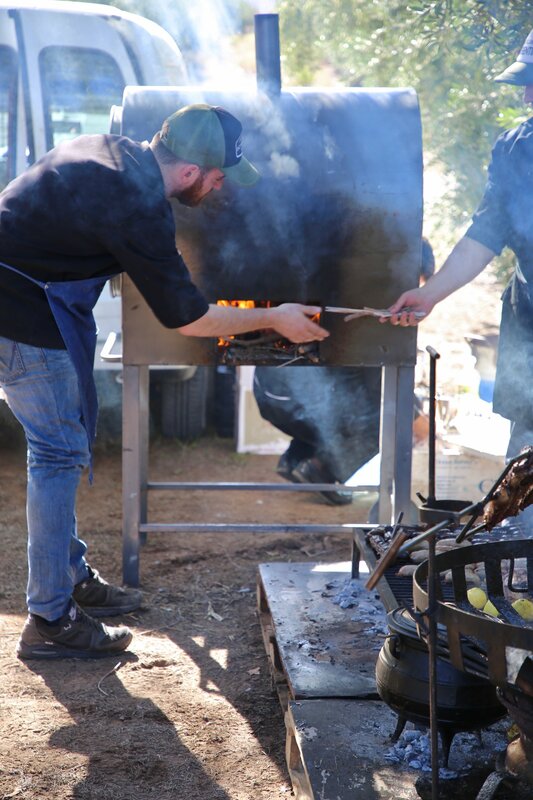 However, I have often found that there were times when the olive oil at hand was not well suited for the high heat cooking methods I desired, meaning it was overly robust for the task at hand. 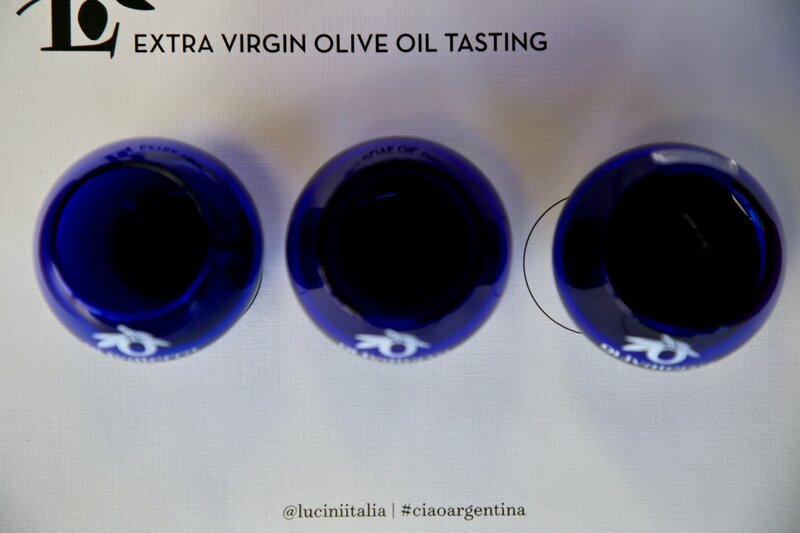 Lucini has changed the way I reach for extra virgin olive oil. Their Everyday blend is crafted for the diverse needs of home cooks, like myself, able to withstand high heat sautéing and frying while also having enough depth of flavor for vinaigrettes and emulsions. 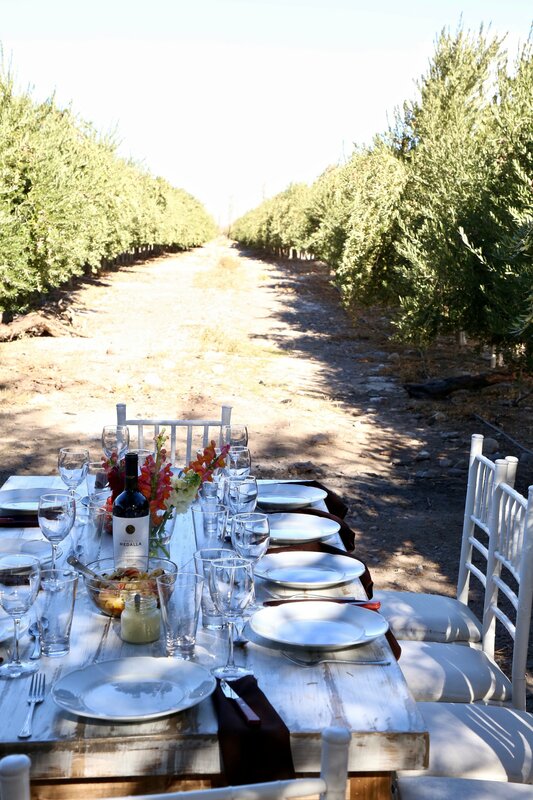 This past June, The Feedfeed, along with a fellow group of food bloggers and writers were invited to visit the Mendoza Province of Argentina to learn firsthand how a culture and landscape are changing the way in which extra virgin olive oil is being produced. 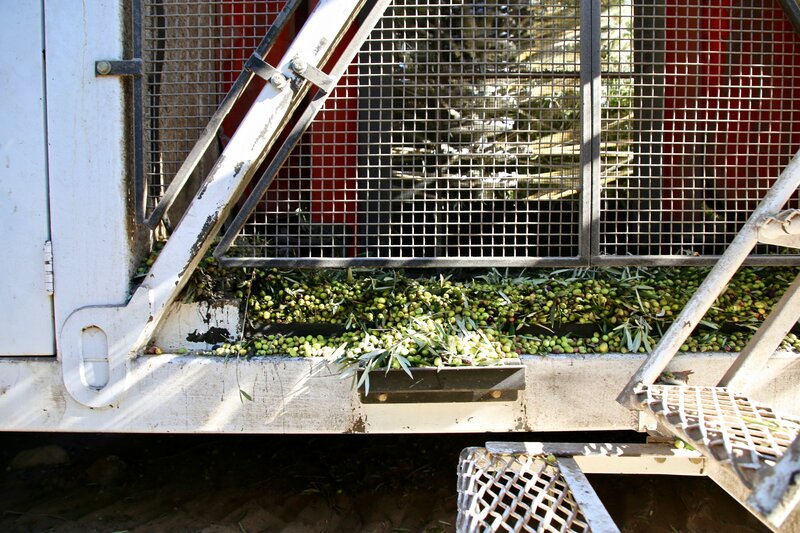 Producing great olive oil is not much different from producing great wine. 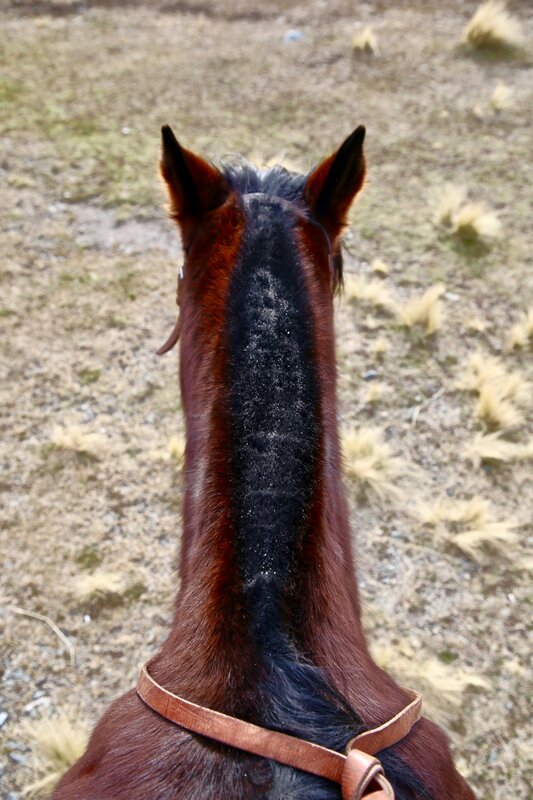 Both require a ground up approach, from the soil to the amount of sun and water they receive, the environment is critical to the final product. 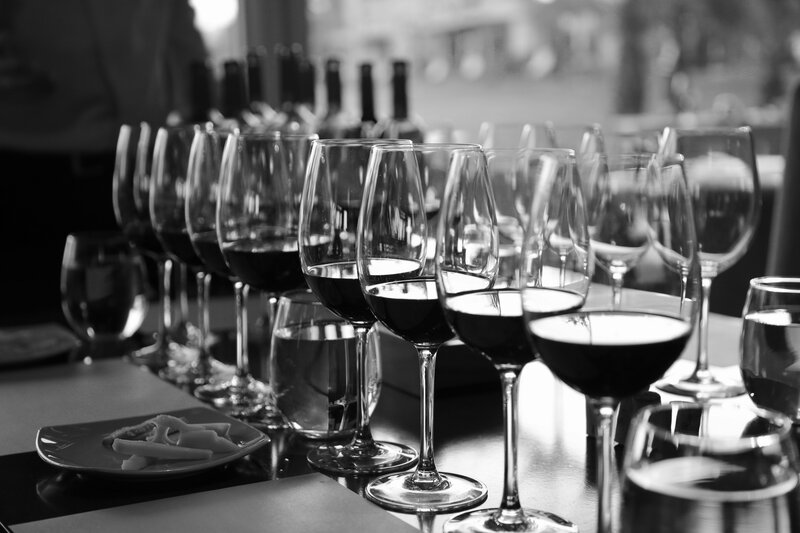 With nearly 60% of the Argentine population being of Italian decent, the Italian immigrants of the 19th century brought with them their love for wine & olive agriculture. 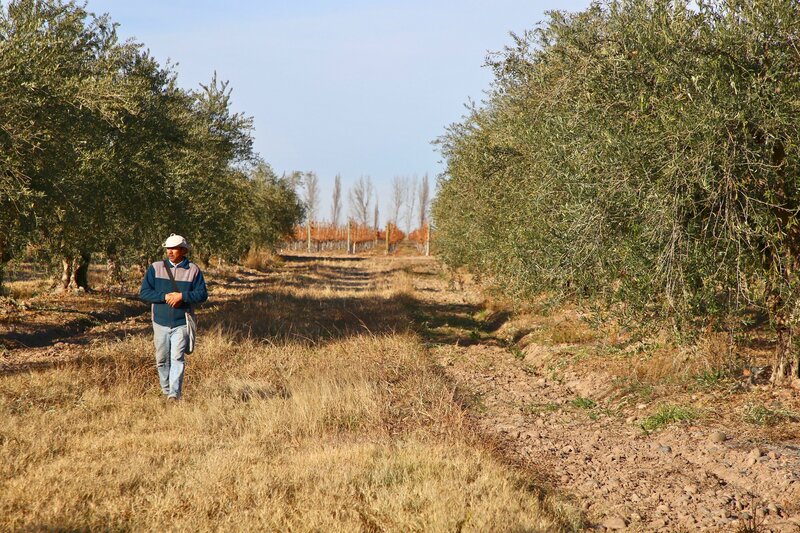 The San Juan region of Mendoza, once an untapped resource, has quickly established itself as a pristine growing region for the three types of olives that are blended to create Lucini Everyday Extra Virgin Olive Oil. Situated 35km beyond the paved road is a group of producers who have been family friends for years and leveraging their combined expertise to tap into a previously dormant growing region.The families specialize in growing three types of olives (Coratina, Arbosana, and Arbequina), all of which are carefully blended to create Lucini Everyday. 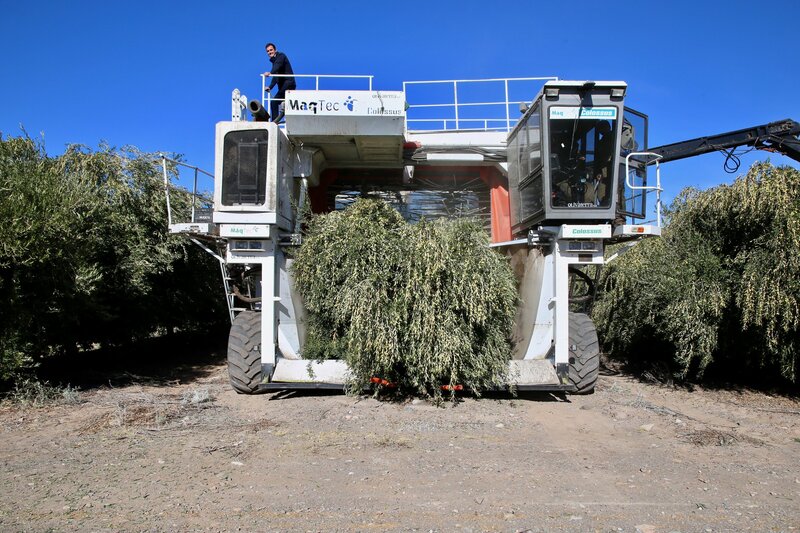 The producers are leading experts in the modern harvesting technique which brings trees closer together and grows them along trellises, which allows them to employ the use of the massive Colossus Harvester which rides above the trees and harvests the olives efficiently and at the exact peak moment of ripeness. 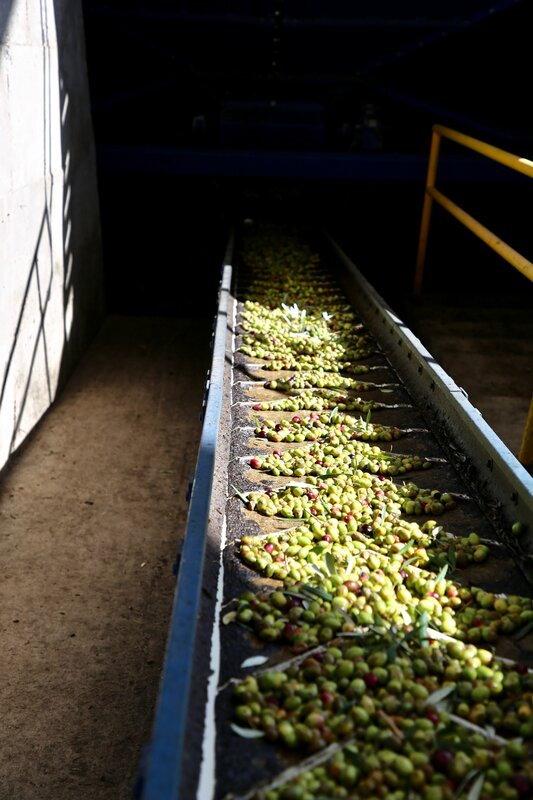 The olives are then pressed on site into olive oil where it is stored and shipped on demand for bottling in the U.S. Very critical steps are taken in the storing of the finished oil to keep the four enemies at bay - light, heat, oxygen and time. 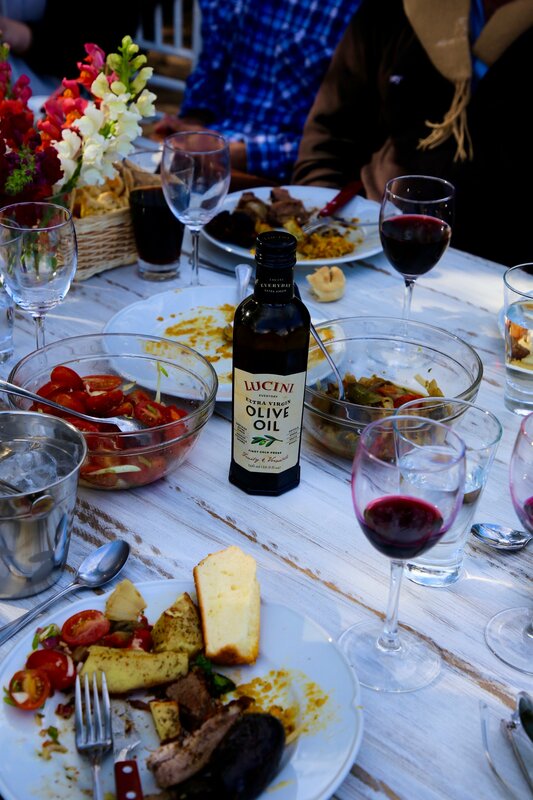 By storing the oil in very controlled environments and shipping only on demand, Lucini provides us home cooks with an olive oil that is superior in quality and taste. 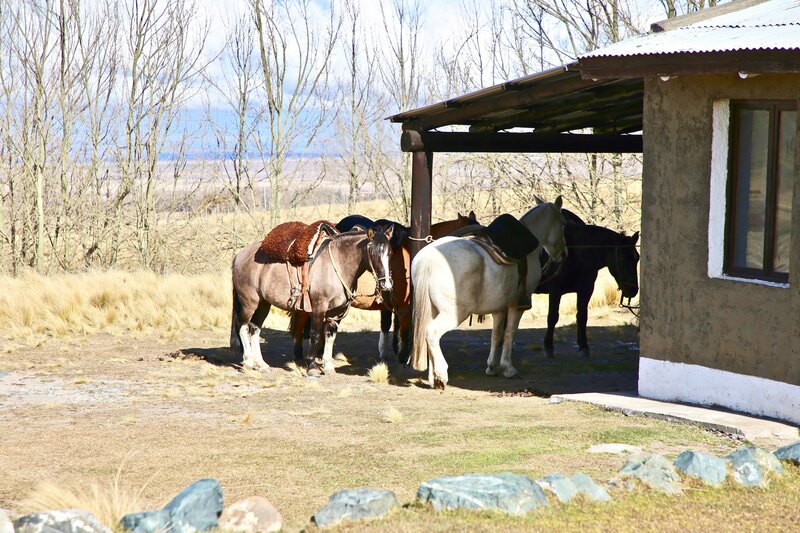 From start to finish, our experience was to showcase the richness of the culture and how the culture of Mendoza informed an agricultural revolution - a people resolved to harvest the land they inhabited and make the most of the arid, yet abundantly rich natural environment they inhabited. 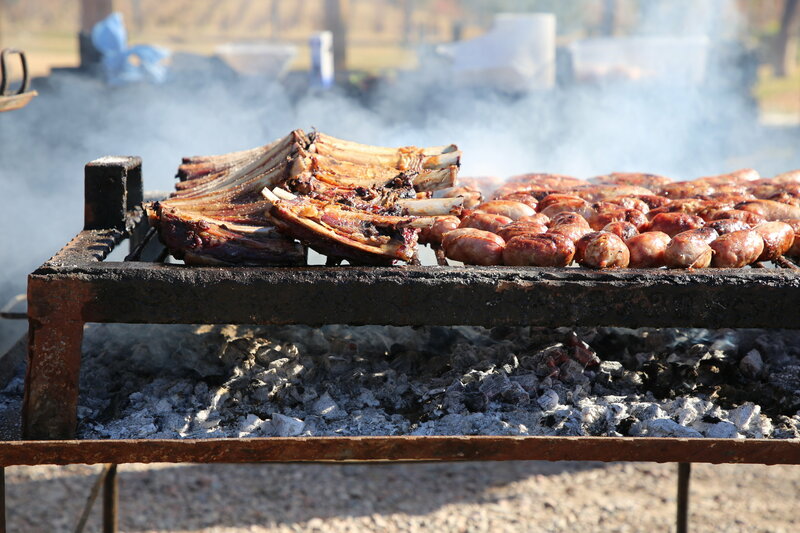 For five days, we embraced all things Argentinian, starting with wine. 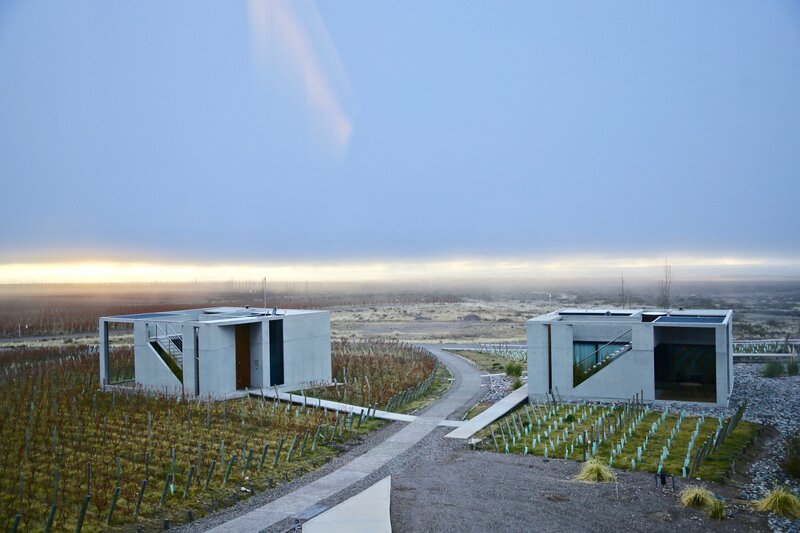 Upon arrival we were driven to Entre Cielos, a boutique vineyard hotel and winery situated just outside the Mendoza city limits. After a long day and night of travel, some relaxation was in order and after a visit to the Hamam (a traditional Moroccan spa), we enjoyed lunch at Katherina Bistro, the on site renowned restaurant that serves up local cuisine prepared in-house with the best quality ingredients available. 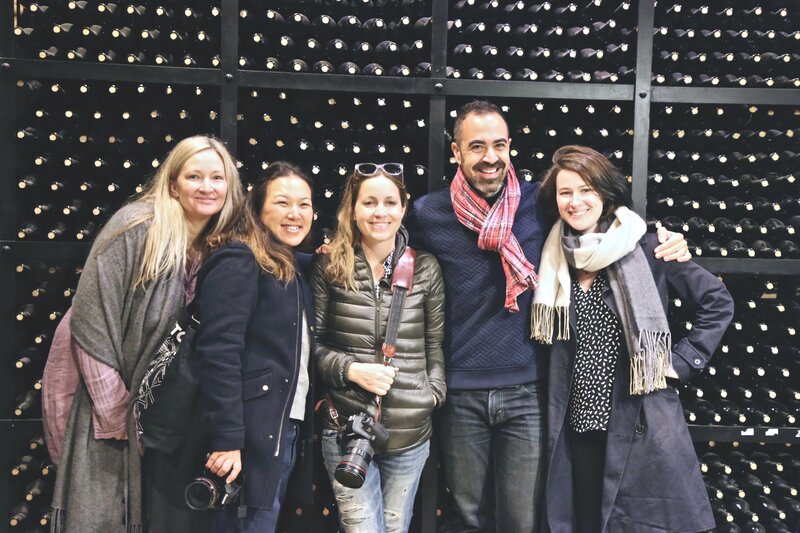 Our official tour kick off began in the evening with a wine tasting that went North to South - the goal here to showcase how impactful the terroir is to the producing of world class wines and how it affects the nose, taste and shape of a wine. We of course, had to start with Malbec. Focusing on the flavors of each wine and leaning on paired cheeses to bring forward the unique notes of each, we learned about the various regions. 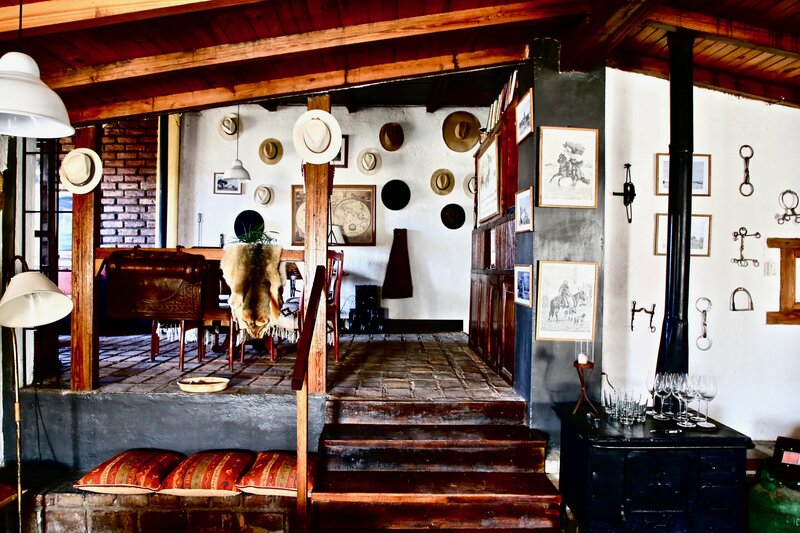 From our wine tasting, we headed to 1884 Restaurante, the globally acclaimed restaurant of the Argentine Chef Francis Mallmann. 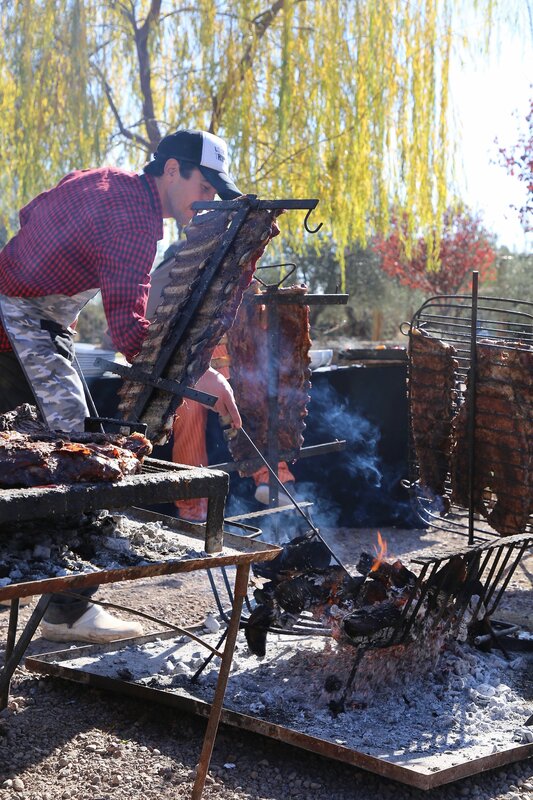 A collaborative effort between Chef Mallmann and winemaker Dr. Nicolas Catena Zapata, the restaurant’s aim is to create a setting that pairs the wine of Mendoza alongside Andean cuisine. 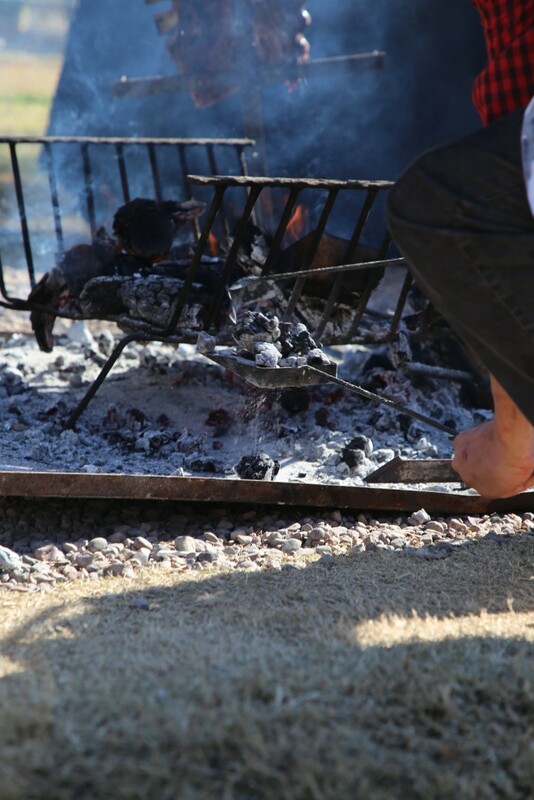 A pioneer in the field, Chef Mallmann relies heavily on traditional Argentine open fire cooking method. 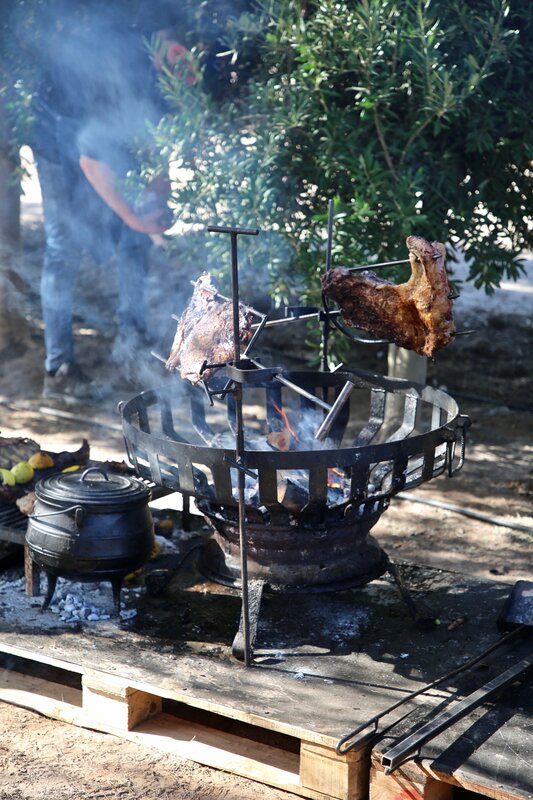 Known as an Parilla, this traditional method of cooking uses open fire to bring richness that us unsurpassed in it’s depth and flavor. 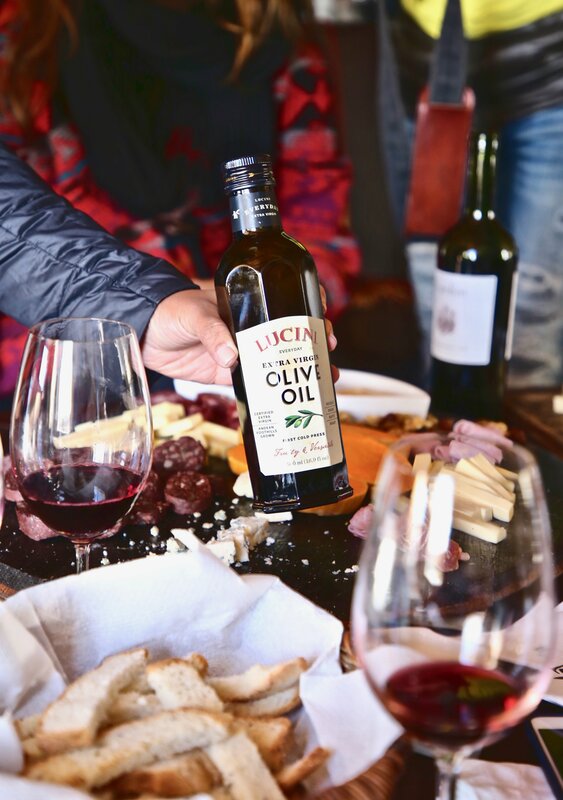 Focusing on traditional Argentine cuts of meat, we finished each dish at the table with just a drizzle of Lucini Everyday Extra Virgin Olive Oil. 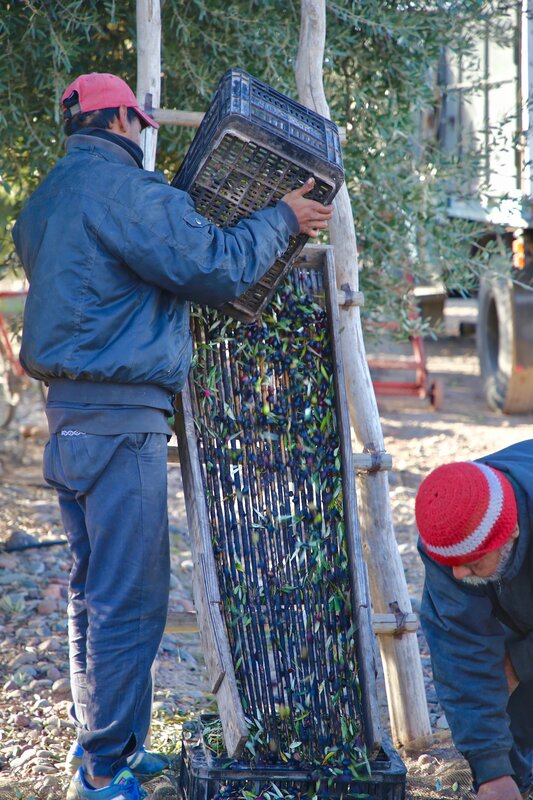 By van, we ventured to visit a local estate, which employs the traditional method of hand harvesting olives. 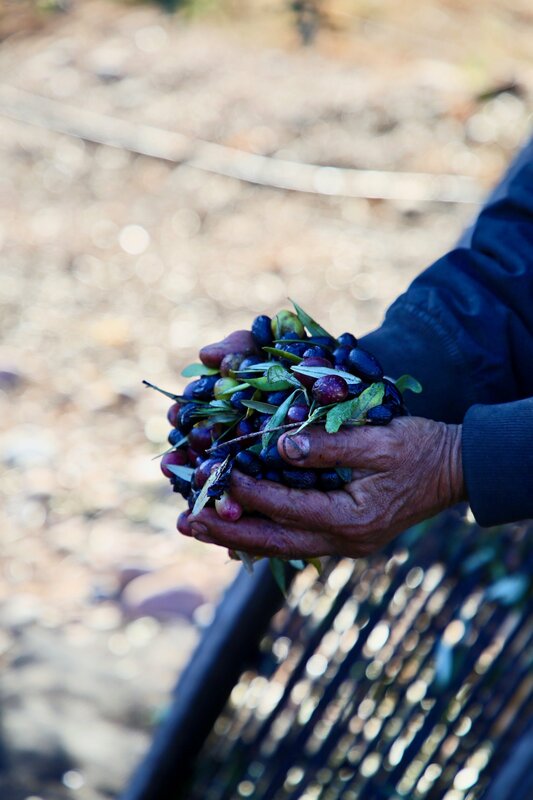 With trees planted farther apart (1 tree per every 10 meters) workers climb ladders and, using long sticks, whack the branches forcefully to free the olives, which then fall to the ground where nets have been placed to catch them. 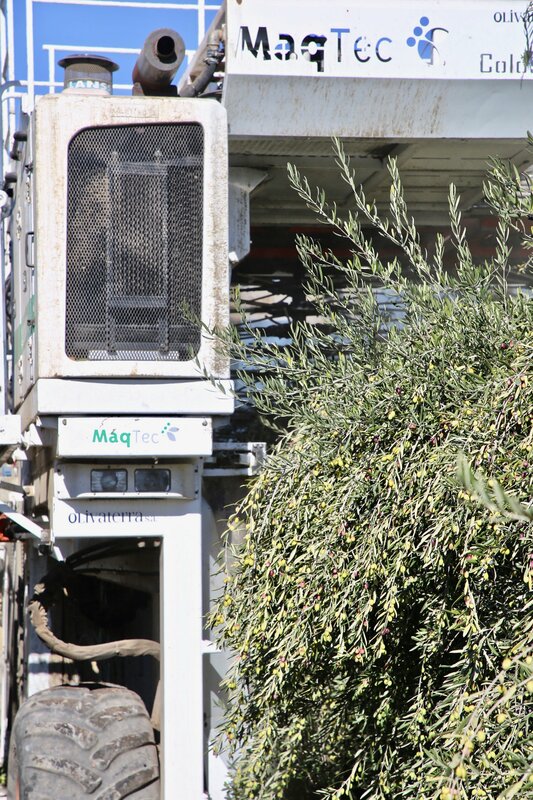 From there, the workers collect the olives and run them down a device that removes as many leaves as possible before they are sent off for processing. 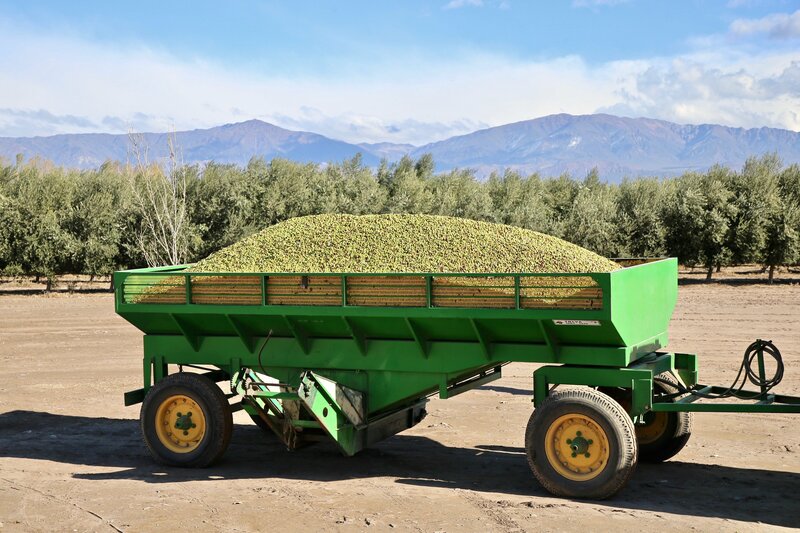 This time honored traditional yields a slightly larger harvest than the modernized methods employed by the ranch in San Juan, but requires much more time to yield the same volume of olives. 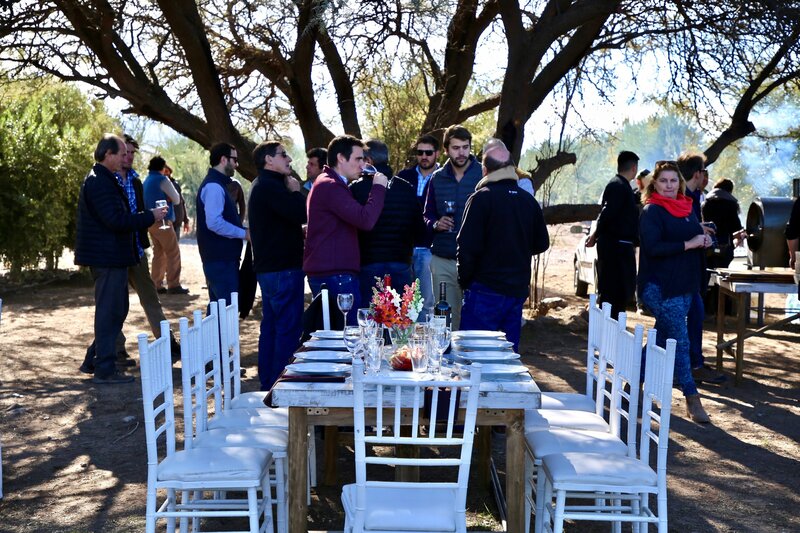 After spending time on the ranch with the farmers and workers, learning about the methods, we headed for a wine tour and paired lunch at Casa el Enemigo (House of the Enemy), where our tour began with learning how to fold traditional Empanadas, a staple food of the Argentine culture. 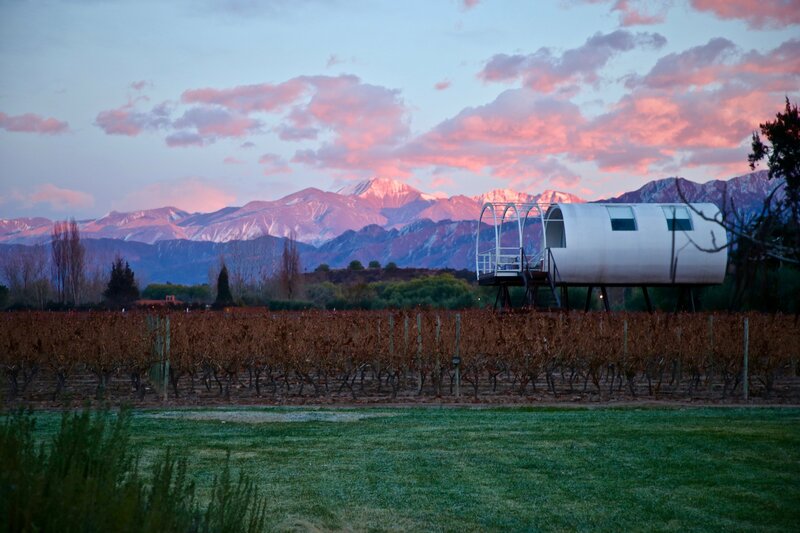 A collaborative effort between acclaimed winemaker Alejandro Vigil and historian Adrianna Catena, Casa el Enemigo, situated in the Maipu region of Mendoza was created to celebrate the time when immigrants arrived in Argentina with their passion for fine wines and a desire to push the agricultural boundaries and produce wines finer than their native homeland. 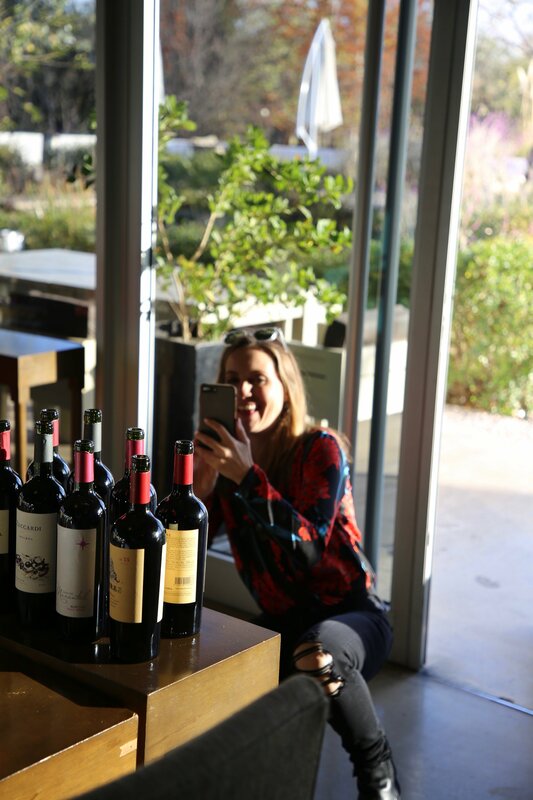 Through our experience, we learned about the importance of the land in producing exceptional wine and also how the variance of soil in which the grapes grow, even within the same parcel, can dramatically affect the way in which the wine tastes. 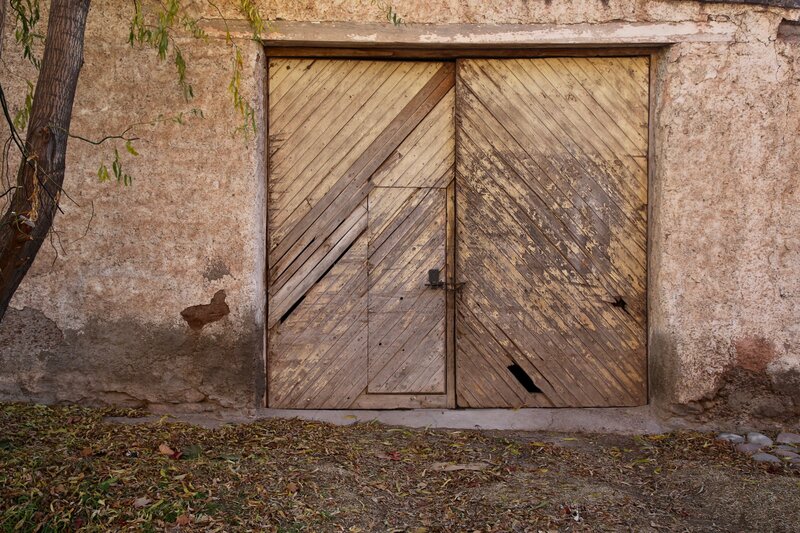 We packed our bags and bid adieu to Entre Ceilos and headed to the San Juan region of Mendoza. 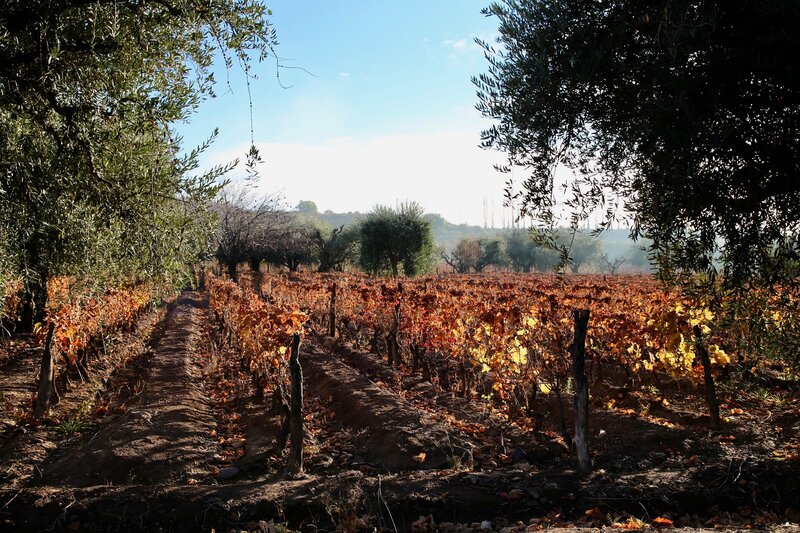 It was here, after a two-hour excursion, that we met the families of Lucini’s San Juan producers and were introduced to what makes Lucini, Lucini. 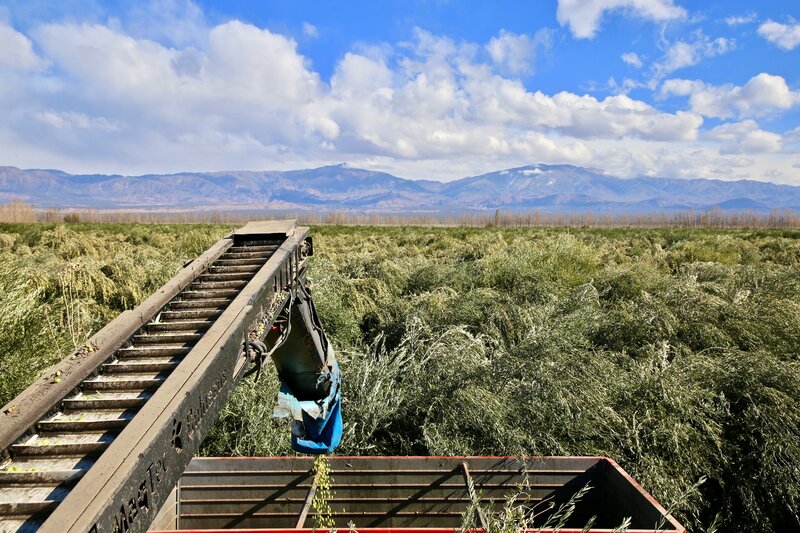 Spending time out in the field, on top of the Colossus, we felt the power of harvesting, under our feet. 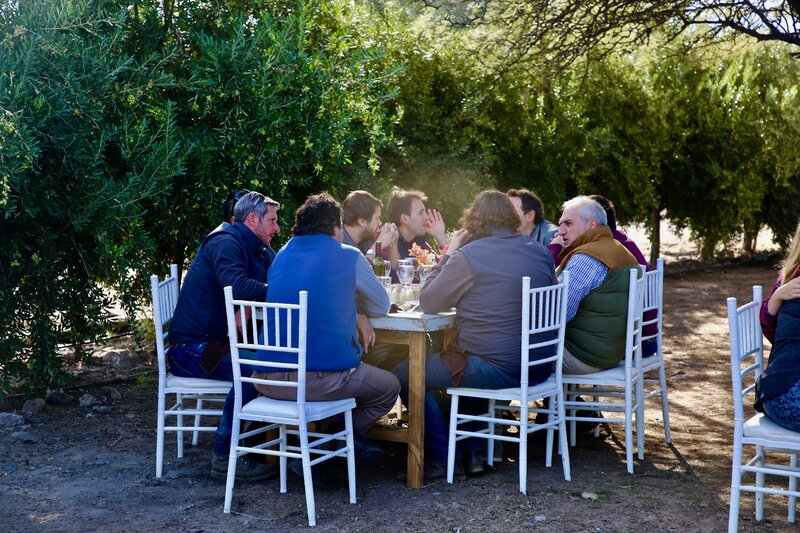 We explored the olive oil mill and honed our olive oil tasting skills through a led tasting by Ramiro, our trusted Lucini guide who oversees all the Argentine production. We sampled each of the three types of oils (Coratina, Arbosana, and Arbequina) and focused on understanding the nuances of each - from soft and green to earthy and peppery, these three oils are carefully blended to create Lucini Everyday. 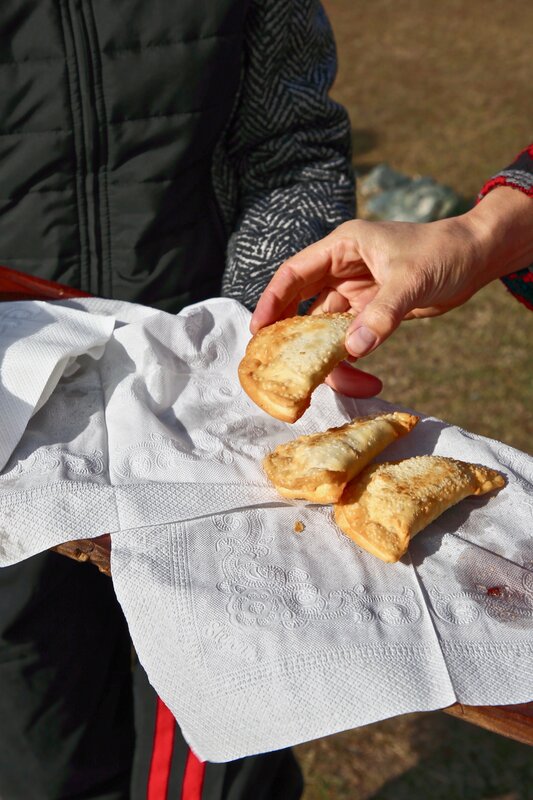 After our tasting, we were whisked out to the field for an open air lunch with the families and growers, and of course, no meal would be complete without perfect empanadas and expertly seasoned and cooked meats from the open fire. 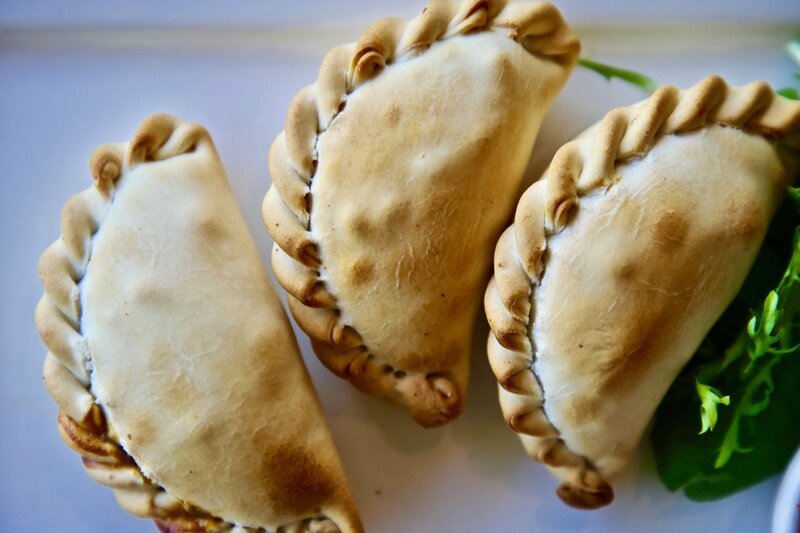 Served with a few flavorful sides of vegetables and salad, it was epic culinary adventure with the ease of the Argentine hospitality. After a long day of eating and drinking in the Olive grove, we headed to Mendoza for some rest, relaxation, and dinner as a group. 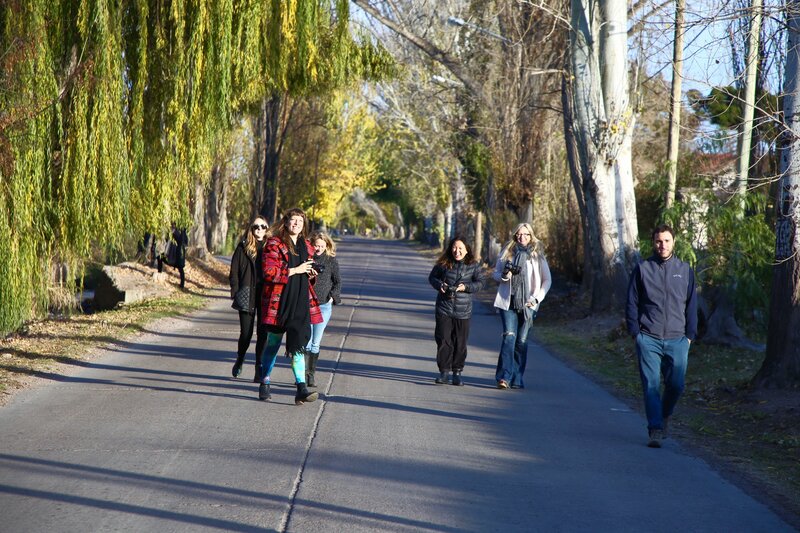 For our last full day, we were off to Uco Valley, to explore the legendary winery of Catena Zapata, one of the most renowned in Argentina. 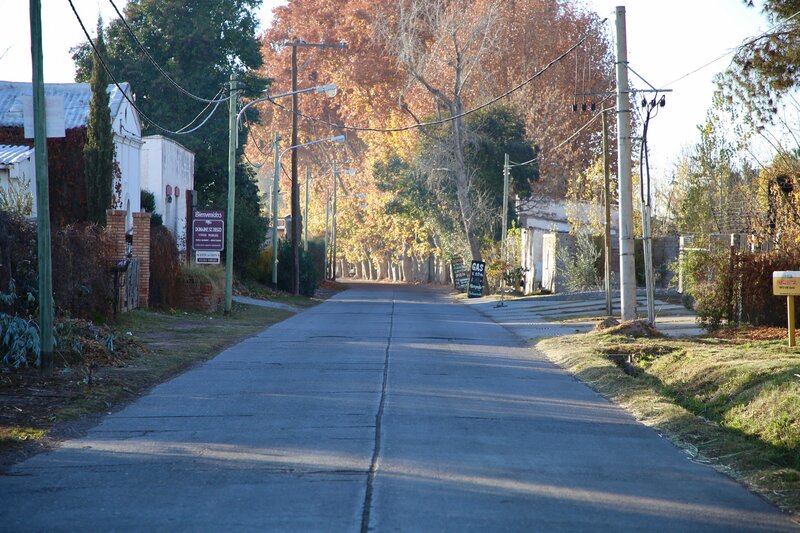 In 1902, Nicola Catena planted his first Malbec vines in Mendoza. 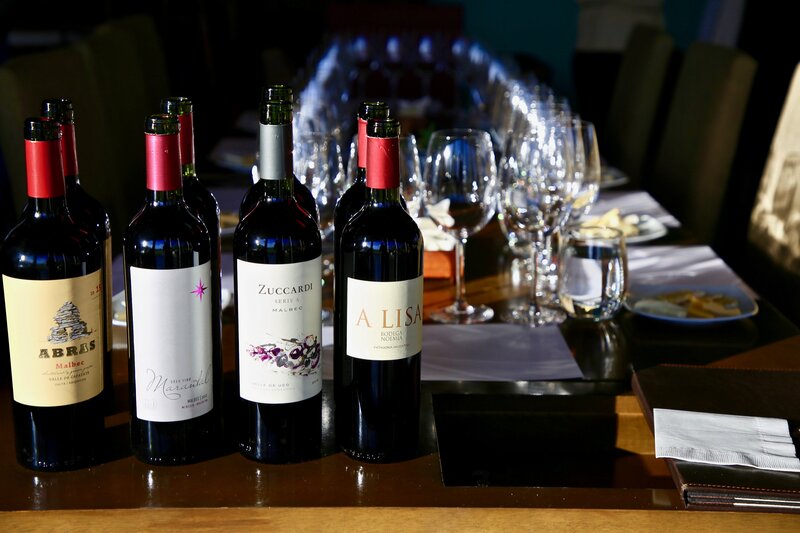 While still considered a blending grape in the Bordeaux region at the time, Nicola felt that the terroir of Mendoza would provide what Malbec needed to become a wine on its own. 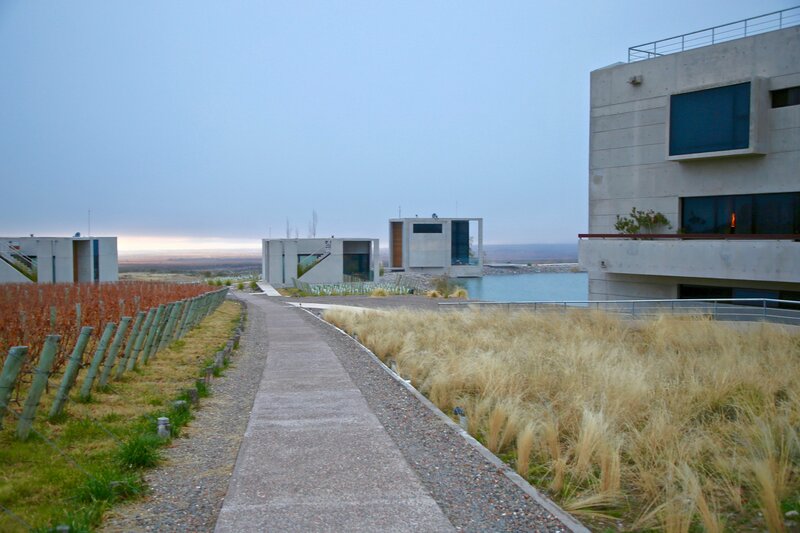 An intuition that proved successful - over time, Catena Zapata would grow to become the leader in Argentine wine production, shifting their vineyards to higher elevations, and pushing the boundaries that were previously established. 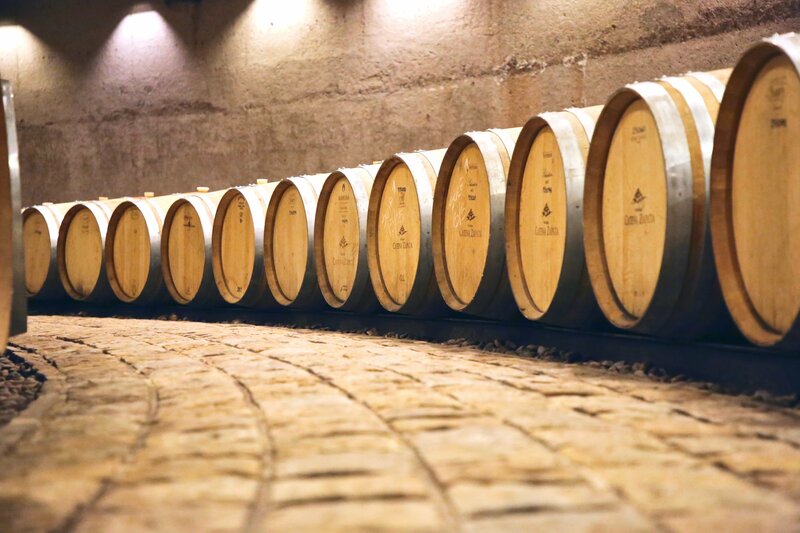 Through carefully crafted traditions and techniques Catena Zapata produces wine like no other, and we experienced their wines through an intimate tasting, with views of the French Oak casks. 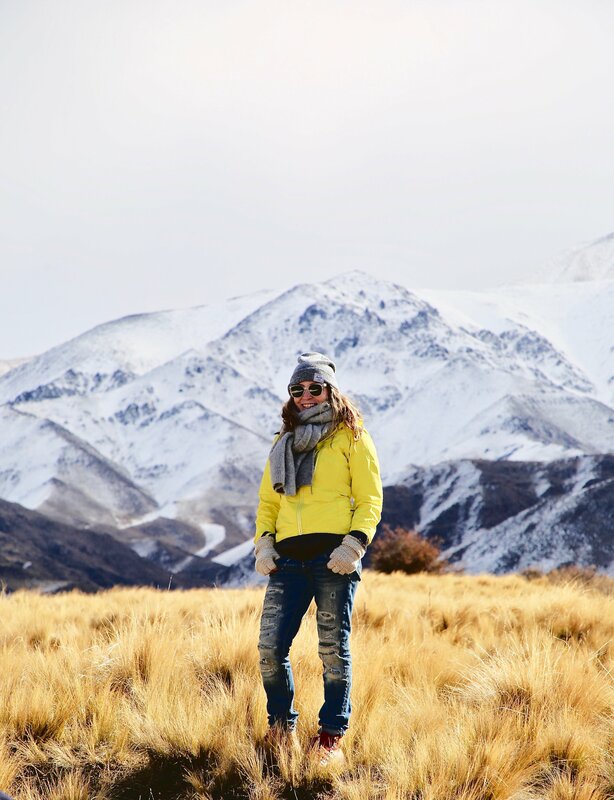 From winery to rugged mountainside, we ventured up into the mountains where we spent the remainder of the day at an Estancia. The temperatures were cold, and we arrived hungry, so we began our time with a meat and cheese board, paired with Lucini and wine (of course). 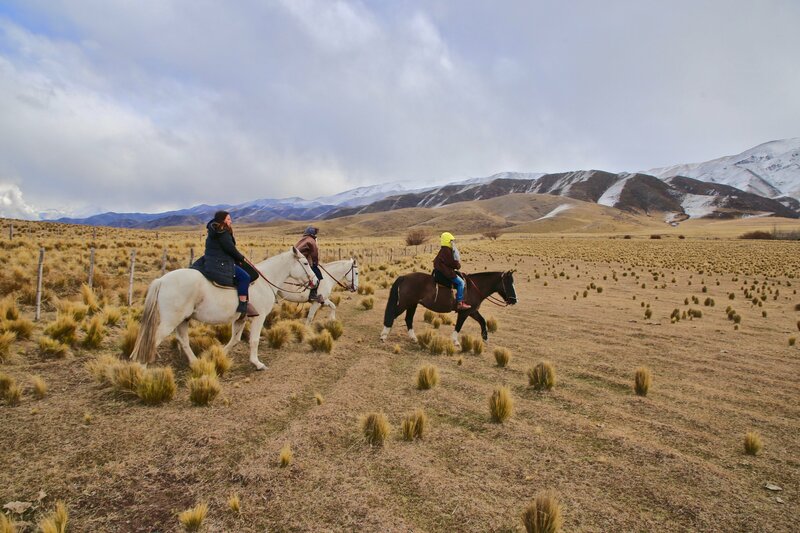 With some fuel in our bellies and warmth in our hands, we ventured to see the land by horse - incredible grassy fields juxtaposed against the rugged, snowy covered mountains in the back. Upon return, we were treated to a home cooked meal of braised beef shank with winter spices and vegetables and plenty of Malbec. It is inevitable that with travel comes bonding, new friendships are born, and existing ones strengthened. For our last night, we broke bread as a group for the last time. In the quiet modern oasis of Casa de Uco, we enjoyed an eight course journey that highlighted our adventure - from crispy empanadas, to gooey cheese toast, salad that highlighted the flavors of the south and of course, perfectly cooked steak, paired with award winning Malbec and spectacularly crafted Lucini Everyday Extra Virgin Olive Oil. 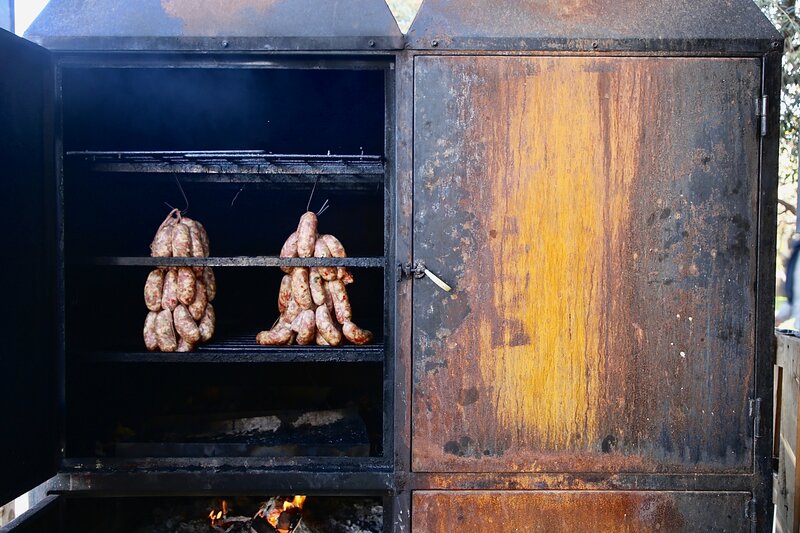 It felt that as if each experience throughout the trip was preparing us just for this moment, to sit back, take it all in, and enjoy the splendor that comes when people gather around food. What comes to life in this journey is that good things often come through collaboration and the desire to push boundaries - be it the families who collaborated to create the ranch in San Juan in a previously un-farmed land, or Nicola Catena who continued to push his winery into uncharted territories - what we learn is that together, we can produce better and by consistently pushing the limits, we learn new things about ourselves and the world that surrounds us.